I love dinosaurs even all animals . I want to know about dinosaurs and alooot about them . Friends can you suggest me books based totally on dinosaurs ? Crichton's JP and TLW novels are worthy reads for anyone seeking a good novel, because not only does it give some insight into dinosaurs, but also messing with genetics and how Nature can throw man-made mistakes back at us. My favourite dinosaur novel, other than the two mentioned above, is Raptor Red, by Dr Bakker. It's a great novel, depicting a vivid prediction of how many dinosaurs in early Cretaceous North America behaved, while combining facts and fantasy very well. I believe that soon after it was published, Disney or Jim Henson's Creature Shop Company had a deal in place to turn this into a movie, but nothing has been done about it. But knowing that movie ideas that are thought of and shelved for years have recently had a habit of coming to fruition in recent years (ex. 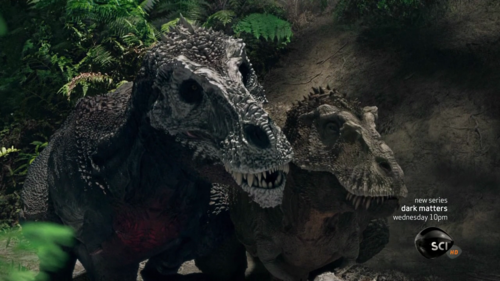 Frozen, JURASSIC WORLD), I would expect that Raptor Red will eventually be made into a feature film.